Jesus is the true bread of life, come down from heaven. His flesh, His true humanity, is our bread of life; this He gives for the life of the world. We are in Him no longer the sinful and death-bound sons of fallen Adam, but the just and life-bound people of the last Adam. Christ gives us His flesh, His glorious humanity, so that we are remade into people of righteousness and eternal life. 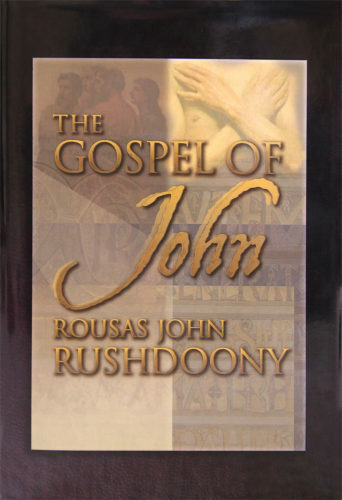 In this commentary the author maps out the glorious gospel of John, starting from the obvious parallel to Genesis 1 ("In the beginning was the Word") and through to the glorious conclusion of Christ's death and resurrection. Nothing more clearly reveals the gospel than Christ's atoning death and His resurrection. They tell us that Jesus Christ has destroyed the power of sin and death. John therefore deliberately limits the number of miracles he reports in order to point to and concentrate on our Lord's death and resurrection. The Jesus of history is He who made atonement for us, died and was resurrected. His life cannot be understood apart from this, nor can we know His history in any other light. This is why John's "testimony is true," and, while books filling the earth could not contain all that could be said, the testimony given by John is "faithful."